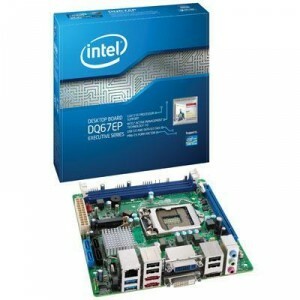 The Intel motherboard claims to be energy efficient and the i3 processor has a max thermal design power (TDP) of 35W. I think this is a nice balanced setup to do low-end virtualization with low-power consumption in mind. I might do a power consumption measurement one day. Once all was installed and the new system booted it appeared networking did not come up in Debian 5 (Lenny). Look for the “Intel® 82579 Gigabit Ethernet Controller” on the http://downloadcenter.intel.com website. UPDATE: The network driver works out of the box with Debian Squeeze and as of today (20130706) I can confirm it works on Debian Wheezy to0.